AKRON TITLE & ABSTRACT AGENCY, LTD.
At Akron Title & Abstract, we understand that residential and commercial real estate transactions are very complex and frustrating at times. Our emphasis on personal service has set us apart from the competition in an industry that requires communication, efficiency and professionalism. We offer a flexible schedule for closings for your convenience and have some of the most professional licensed abstractors in Ohio. 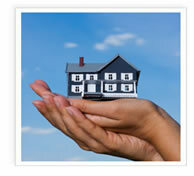 We spend several hours searching public records, deeds, mortgages and other legal proceedings affecting your property. Akron Title & Abstract Agency, Ltd. also provides in-house settlements including paying and clearing of prior liens and disbursement of funds and escrow services necessary for settlement. E-Mail or call us today to find out how we can help you! ©2008 Akron Title & Abstract Agency, Ltd.